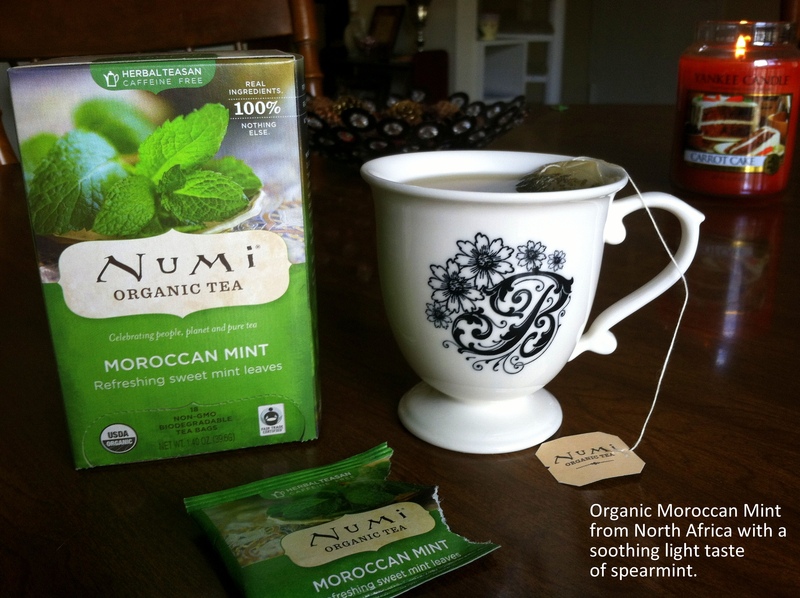 Meet my new favorite tea – Moroccan Mint! A co-worker of mine introduced this to me and I fell in love. This is similar to a tea she had while in Egypt, as this tea leaf is found in North Africa. There, it’s known as the “nana mint”. My co-worker swears by this tea that if she starts feeling a little cold coming on, she’ll drink this and feel better. The tea, to me, tastes like a much lighter version of Celestial Seasonings Sleepy Time Tea, and it’s perfect with honey. The only down side about this particular blend is that we’ve only been able to find it at Target rather than in any of our local grocery stores. However, it’s worth the trip!